Type location Kenya (Cerapachys kenyensis n. 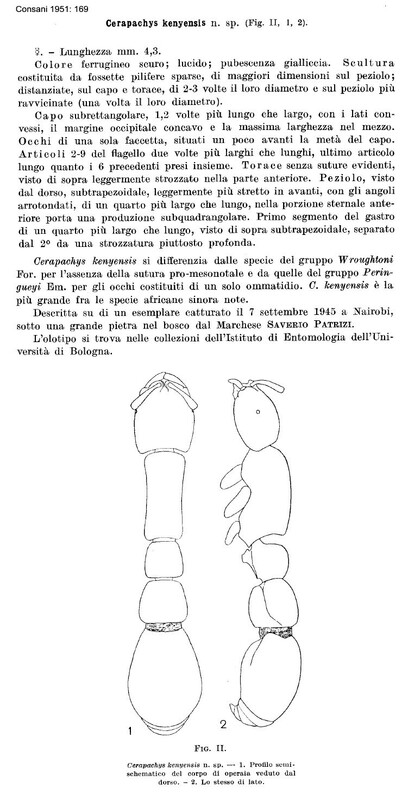 sp., Consani, 1951: 169, illustrated, worker) collected at Nairobi, 7.ix.1945, by Marchese Saverio Patrezi; worker only described - no type images on Antweb (March 2015) . 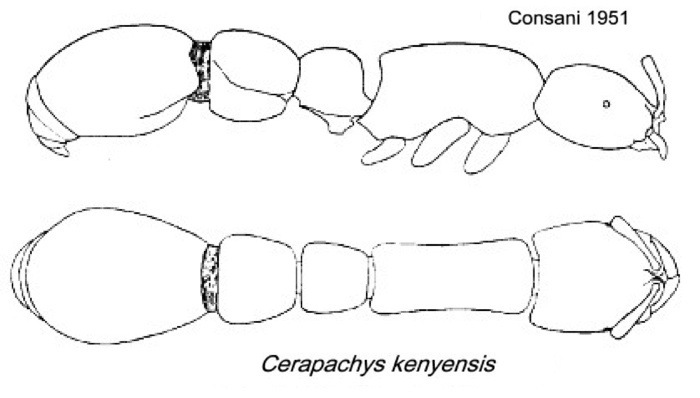 Consani's (1951) description is at . The photomontage is of a specimen collected from Usambara Mts, Tanzania; Zigi Lodge, Amani NR; S 5�' E 38�'; 2200 m; Vasily Grebennikov, 9-11.x.2002. 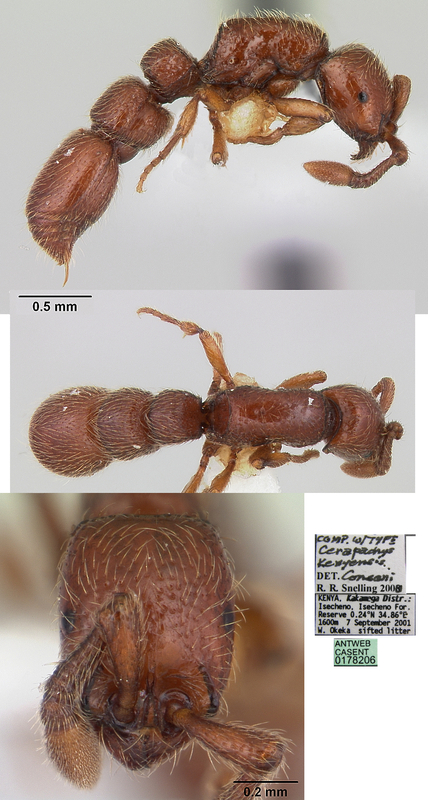 The photomontage of a worker from Kenya is collated from - http://www.antweb.org/specimen.do?name=casent0178206.